Vice President Mike Pence praised the heroic response by police and the resolve of the American people at a prayer service Saturday in Las Vegas before organizers released 58 white doves in memory of each victim killed in the deadliest mass shooting in modern U.S. history. At the same time, federal agents started hauling away piles of backpacks, baby strollers and lawn chairs left behind by fleeing concertgoers who scrambled to escape raining bullets from a gunman who was shooting from his high-rise hotel suite. "It was a tragedy of unimaginable proportions," Pence said as he addressed nearly 300 people at Las Vegas City Hall. "Those we lost were taken before their time, but their names and their stories will forever be etched into the hearts of the American people." 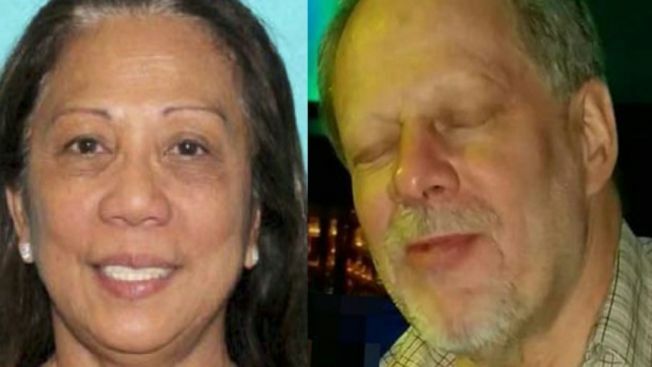 Investigators have remained stumped about what drove gunman Stephen Paddock, a reclusive 64-year-old high-stakes video poker player, to begin shooting at the crowd at a country music festival from his 32nd-floor Mandalay Bay hotel suite last Sunday, killing 58 and wounding hundreds before taking his own life. 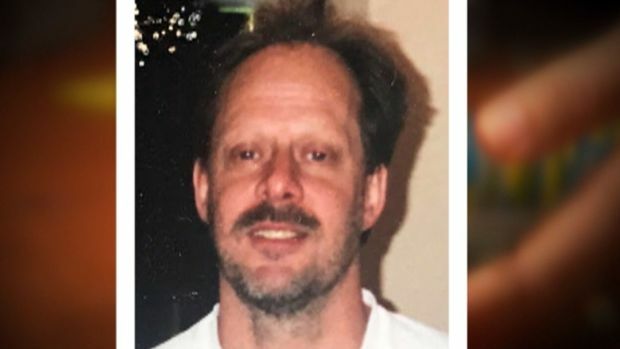 Investigators believe a note found on a nightstand in Paddock's hotel room contained a series of numbers that helped him calculate a more precise aim, accounting for the trajectory of shots being fired from that height and the distance between his room and the concert, a law enforcement official said Saturday. The official wasn't authorized to discuss the details of the ongoing investigation publicly and spoke to The Associated Press on condition of anonymity. The unity service Saturday afternoon came after dozens of people — many wearing shirts that said "Vegas Strong" — marched from Mandalay Bay to City Hall. After speeches from Pence and other politicians, doves were released into the air, flying in a wide arc and then disappearing into the distance as someone shouted, "God bless America!" "On Sunday night, Las Vegas came face-to-face with pure evil, but no evil, no act of violence, will ever diminish the strength and goodness of the American people," Pence said. "In the depths of horror, we will always find hope in the men and women who risk their lives for ours." Las Vegas Mayor Carolyn Goodman told the audience that the focus needs to remain on the victims, not "that horrific senseless animal." Lisa Rhoads-Shook, whose brother-in-law was inside the Mandalay Bay when the shooting broke out, said she wanted to attend the unity service to be part of the conversation about change. 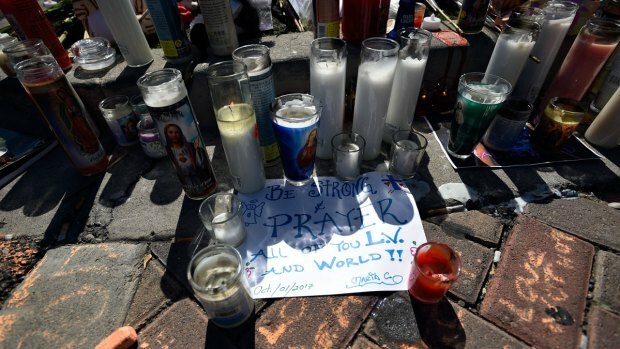 "I'm so sad and it's not fair, really, for us to experience another avoidable tragedy. We have to acknowledge that there is no better time to talk about gun control," she said. "I don't think the Founding Fathers wanted the right to bear arms to become the right to build an arsenal in your home." Law enforcement and family members still cannot explain what would motivate a one-time accountant with no known criminal record to carry out the attack that left 59 dead and wounded more than 500 others. NBC's Sarah Dallof reports. Investigators have chased 1,000 leads and examined Paddock's politics, finances, any possible radicalization and his social behavior — typical investigative avenues that have helped uncover the motive in past shootings. But Clark County Undersheriff Kevin McMahill said there's still no clear motive. What officers have found is that Paddock planned his attack meticulously. He requested an upper-floor room overlooking the festival, stockpiled 23 guns, a dozen of them modified to fire continuously like an automatic weapon, and set up cameras inside and outside his room to watch for approaching officers.